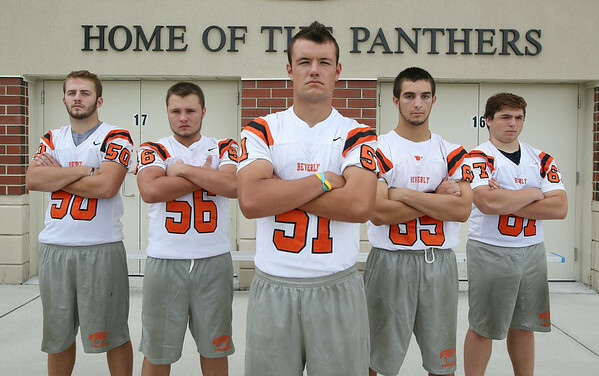 The 2014 Beverly Panthers starting offensive line Senior Strong Tackle Chris Vallette (50), Senior Strong Guard Jimmy Kastrinakis (56), Junior Center Jake Berry (51), Junior Quick Guard Stephen Serino (65), and Junior Quick Tackle Chris Faust (67). DAVID LE/Staff photo. 8/22/14.